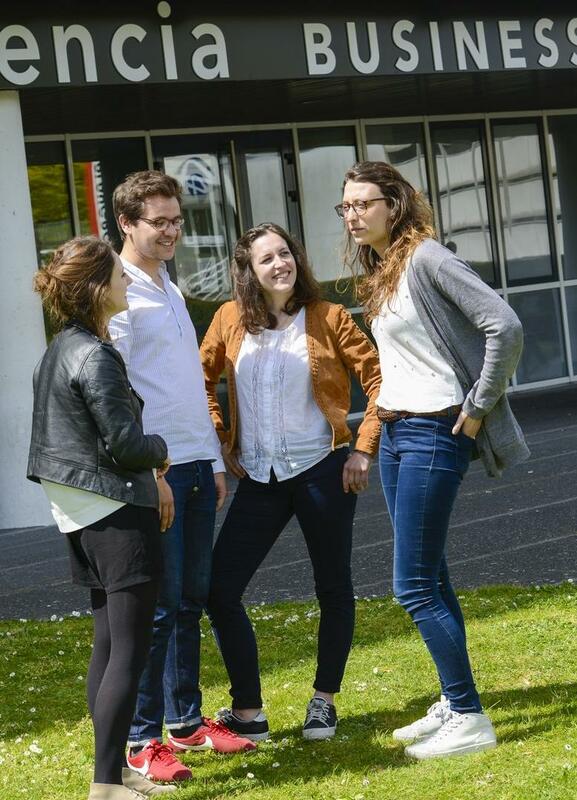 Students at Audencia Business School come from all over the world – 87 countries, to be exact! We’re a diverse group of people with a few important things in common: we’re motivated, creative, optimistic and absolutely in love with our campus, community and city – our home. Audencia has a social scene of its own, with around 30 student clubs, sports and frequent organised activities and cultural events. Here are just a few ways you might connect with your new best friends. Audencia Compétitions: organises large sports events, including Audencia’s triathlon. For more than 25 years, Audencia has hosted the Triathlon Audencia at the last weekend in September. More than 10,000 people from all over the world participate – including many Audencia faculty members and students! Our facilities are modern and comfortable, with everything you need for class, study and relaxation. A team of 8 librarians is at the disposal of students and professors to help them find the documents they are looking for. Students can ask for one-on-one library search help when they need it or can receive training in how to use bibliographical reference management tools. Librarians are also available to help teaching staff with their academic projects (identify tools, enrich class materials with bibliographical references etc.). A state-of-the-art financial trading room gives you access to a range of services usually reserved for finance professionals. Audencia’s cafeteria is located on the ground floor and serves hot beverages, sodas, croissants and other snacks. At lunch, the cafeteria offers sandwiches and meals. You can also prepare food you bring from home here. There are also many affordable and tasty options within a five-minute walk from campus. Conceived and managed by students of the Specialised Master in Marketing, Design and Creation and run jointly by Audencia, engineering school Centrale Nantes and design school ENSA Nantes, the Playground provides Nantes students, faculty members, firms, entrepreneurs and clubs with a purpose-build environment where projects and products can take shape. This creative space is built around the concept of “design thinking” and the “do-it-yourself” (DIY) movement. It comes with its own Fablab. The space promotes co-working and allows diverse groups to come together for networking, collaboration and ideation. The machine room includes a 3D printer, 3D pens, drills, saws, vinyl-cutting machines and more that allow groups to create prototypes. Computers with graphic design and image editing software are also available. The design-thinking area of the lab contains all kinds of creative tools to inspire the imagination. 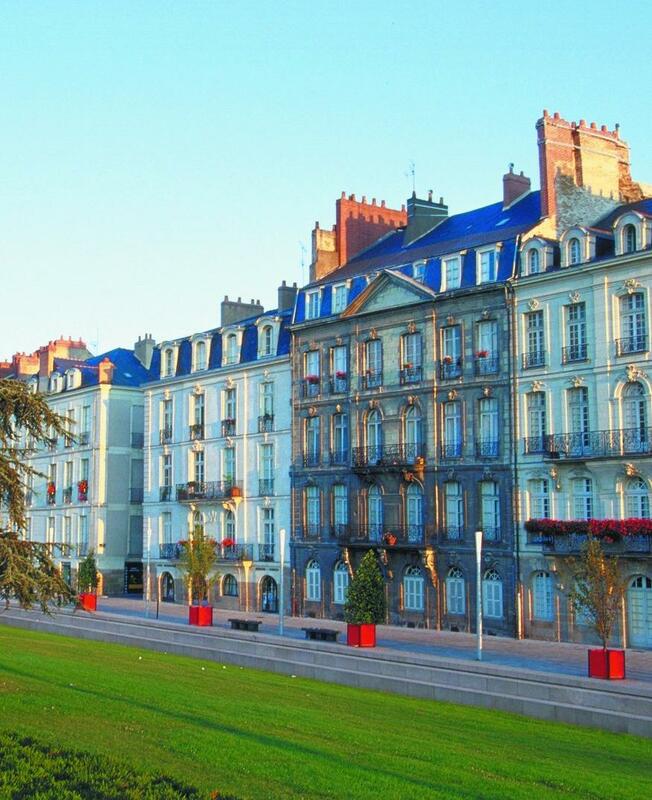 The beautiful city of Nantes, France, is home to Audencia’s main campus. Audencia also has campuses in Paris and Beijing. Learn about all of our campuses, or read on for more information about Nantes! 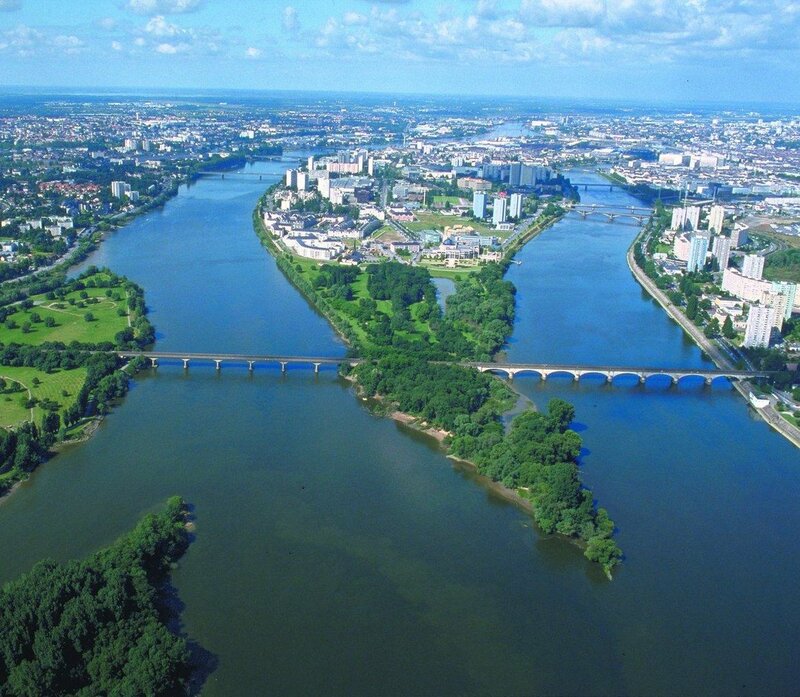 Our main campus is located in the heart of beautiful Nantes, France, recognised by countless publications and organisations for innovation and quality of life. Students in particular enjoy life here: almost 20% of Nantes residents are ages 16-25 and study in the city. Just two hours from Paris by train and a 30-minute drive from the Atlantic coast, Nantes is a thriving modern city with old-world flair. It is also easy to get from Nantes to London, Brussels and Geneva – amongst other exciting destinations. Originally developed around the castle of the Dukes of Brittany, our region is a popular tourist destination. It draws around two million visitors per year and offers countless sights and attractions. Our city is safe, affordable and welcoming to international guests. Learn more about Nantes on the official city website, or get to know our other campuses in Paris, Beijing and more. There are so many opportunities waiting for you in Nantes. 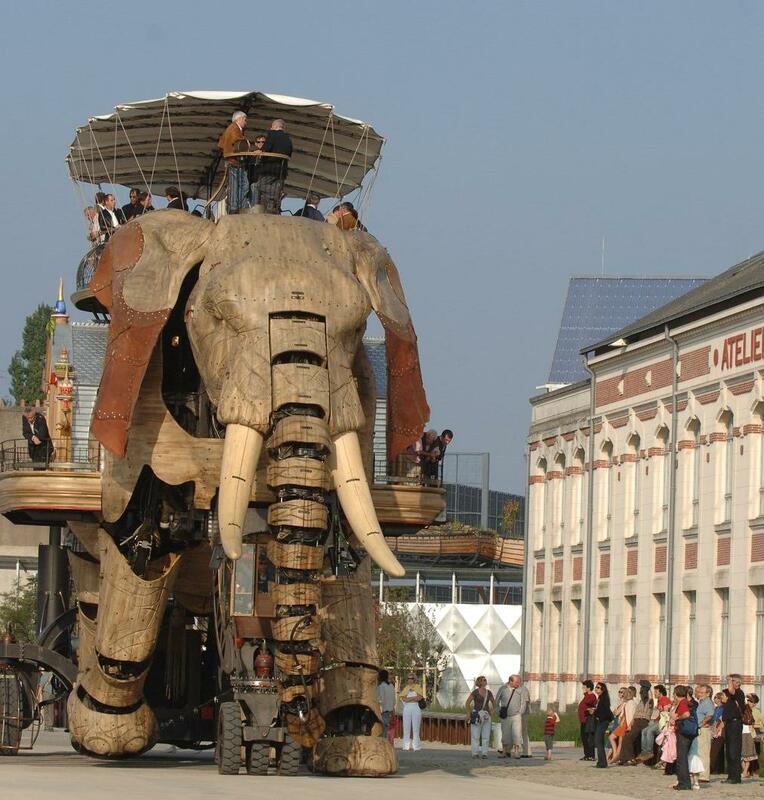 Take a look at our suggestions and explore the official Nantes Tourism website for more ideas. You can travel in Nantes by foot, bike, tramway, bus, taxi, hired car and even by boat! Nantes has an excellent public transport system and is also a very walkable city – great for exploring. Nantes SNCF is the central train station where you can take trains to Paris, London, Brussels and more! Visit the official SNCF website for ticket price and time table information. The Nantes Atlantic Airport is conveniently located 15 minutes from downtown and can connect you with a wide range of international destinations. Visit the website for flight information. Food is a central part of French life, so of course we have numerous supermarkets, shopping centres and outdoor markets. It is usually more economical to visit the outdoor farmers’ markets for quality produce at a bargain and the large supermarkets for household items such as blankets, cleaning supplies, etc. The cost of food in Nantes is relatively low, so you can enjoy delicious fruits, vegetables, French cheeses and more – all on a student budget. It is wise to get a loyalty card from the supermarkets, as this will allow you to take advantage of special deals and sales! The cards are free, and you can get them from the cashiers. For off-campus dining, you can choose from French regional cuisine or ethnic specialties. There are options for all tastes and dietary restrictions. Many great restaurants are concentrated within the Bouffay and Graslin districts. There are also several convenient and affordable restaurants within a five-minute walk from campus. Nantes also has a very lively nightlife, with the most famous nightclubs and bars in the popular Bouffay district. Note that it’s not necessary to leave a tip, as this is often included in the price of the meal. Be sure to check out the plats du jour or menu midi/soir for lunch and dinner specials. Explore the official Nantes Tourism website for more ideas, and download the International Student Guide for details on specific destinations. Our community is full of creativity and energy. Nantes has a vibrant cultural scene offering everything from medieval castles and art museums to a planetarium, relaxing parks, movie houses and even bowling alleys. You may also explore nearby cities by train and learn about the vast and beautiful landscape France has to offer. As part of a UNESCO World Heritage site, the entire region has more to offer than we could possible describe. The Castle of the Dukes of Brittany, originally built in 1207, is one of Nantes’ oldest landmarks and a must-see. 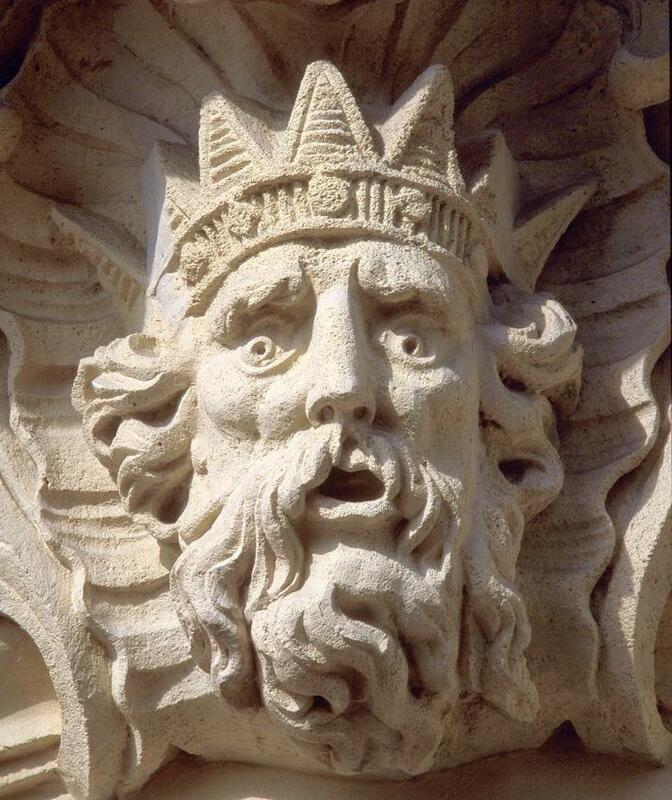 The magnificent gothic Cathédrale de Nantes is also on the top of many travellers‘ lists. Even a stroll down some of the old streets in the Bouffay district will give you an excellent tour of European architecture of the 18th and 19th centuries. You can even throw in a shopping trip along the way; the Passage Pommeraye, a shopping gallery in the centre of Nantes, is also a beautiful historical building. Explore the official Nantes Tourism website for more ideas, and download the International Student Guide for specific destinations. Nantes offers you many different sport facilities, such as swimming pools, football fields, ice rinks and more. You can also join the BDS, or Bureau de Sports, at Audencia and participate in a variety of sports such as football, tennis, badminton and running. Explore the official Nantes Tourism website for more ideas, and download the International Student Guide for details on specific options. Audencia has four campuses – including the main campus – in Nantes, France. We also have campuses located in Paris and Beijing. France ranks amongst the most popular tourist destinations worldwide. There are so many things to enjoy about the country while you’re studying with us. Here are just a few. France is located in the middle of Western Europe. It’s well-connected, and you can visit many other neighbouring countries such as Italy, Switzerland, Spain and Germany with ease. If food is important to you, visiting France is an absolute must. Our sauces, cheeses, breads, wines and pastries are world-famous. Our food culture includes technique, history and pleasure. We eat slowly and enjoy our meals, sitting outside in the open air on nice days and gathering together in cafés and restaurants when clouds roll in. Eating at a French street market or picnicking at a nearby park is also lovely. France has long been an international centre for art. The world-famous Louvre is just one of many things people come from all over the world to see. 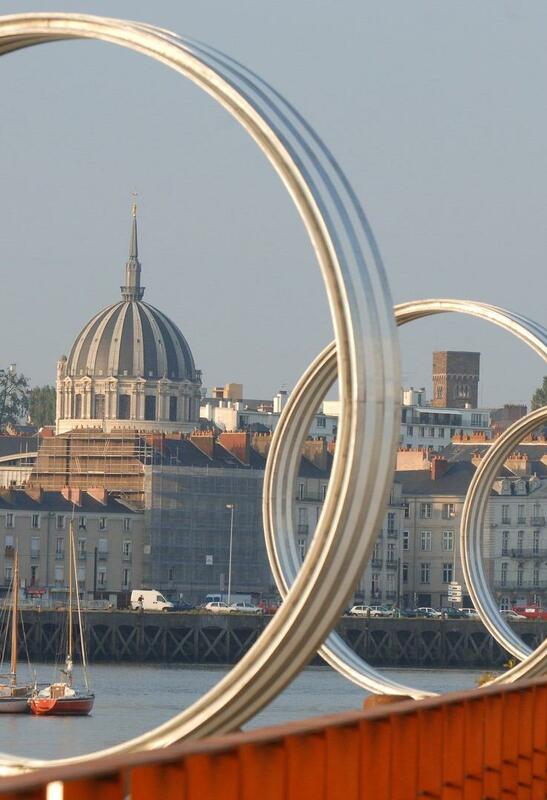 Nantes itself boasts a wide range of art galleries and museums. The French countryside is famous for its beautiful landscapes, vineyards and historical villages. These bustling and historic French communities range from beach towns to picturesque canal-laced villages, lovely hillside communities, and villages perched on the edge of dramatic cliff faces. You don’t have your intranet account yet. You will receive an enrolment key to log onto the platform once you are enrolled at Audencia. You already have access to Tomorrow. Log onto Tomorrow and click on «Student Housing» available in your «Quick Links» tab. In France, if you rent a private room or an apartment, you may be able to qualify for financial aid for housing. Please visit the Caisse d’Allocation Familiales (CAF) to find out about your eligibility for Aide Personnalisée au Logement (APL), the national housing allowance system. See the CampusFrance website for additional information regarding financial support for housing. Here is a typical budget that includes the approximate expenses you may incur during your time in Nantes at Audencia’s main campus. Keep in mind that each student is different, and your spending habits will determine if you fall above or below average. These costs are just to give you a general idea of your expenses. The list is not exhaustive. If you are a non-European student and will be studying at Audencia, we recommend you purchase international travel insurance, liability insurance and international health insurance that is valid for the entire duration of your stay in France. Health insurance in France may be very different from the insurance you have at home. Requirements and procedures vary based on the length of your stay, your age, your home country and whether or not you are a full-time degree student. See the CampusFrance website for more information. Just remember to bring your valid European Health Insurance Card! All non-European students who will be studying in France longer than three months must apply for a student visa – and certain nationalities require visas even for short stays. Check the France Visa website as a start, then apply at your nearest French consulate or embassy no later than three months before your prospective arrival date. The information below is a general overview of the visa process for studying as an exchange or degree student at Audencia. For detailed information and guidelines, particularly for regulations concerning your country of origin, please visit the CampusFrance website, or visit the respective French embassy or consulate website for your country. In general, if you are planning to stay in France for more than three months, you will need to obtain a long-term student visa before your arrival. You should apply for your visa at the French embassy consulate in your country of residence at least three months before your departure. Your passport should be valid for the entire length of your stay in France. Also check whether you’ll require an entry visa. Please note: a tourist visa may not be converted to a student visa once you have entered France. Please apply for the appropriate student visa if you will be studying at Audencia for a term longer than three months. Also check whether you’ll require an entry visa. A student examination visa allows you to enter France to sit for an entrance examination required as part of the process of applying for admission to a degree programme. If you pass the entrance exam, you may apply directly (without first returning home) for a renewable one-year residency permit at the Nantes préfecture (government bureau). You may also need to obtain an entry visa in addition to your student visa to enter France. Entry requirements and visa procedures vary depending on your home country. Please check whether your country is included through your local French embassy or consulate. Please note: residents of any EU country, Andorra, Monaco, Liechtenstein, Norway, Switzerland and San Marino do not require an entry visa. If you decide to stay in France beyond the length of time that your student visa allows, you may be eligible to apply for a residency permit known as a titre de séjour. See the CampusFrance website for more information. You must go to the préfecture (government bureau) to apply for a residence permit within two months of your student visa expiration date. The French higher education system is divided between the public university system and the elite private Grande École system. France's world-renowned Grande Écoles are highly selective, specialised higher education institutions. They are much smaller than the large public universities and allow more student-teacher interaction. Audencia is proud to be a part of the Grande École system. 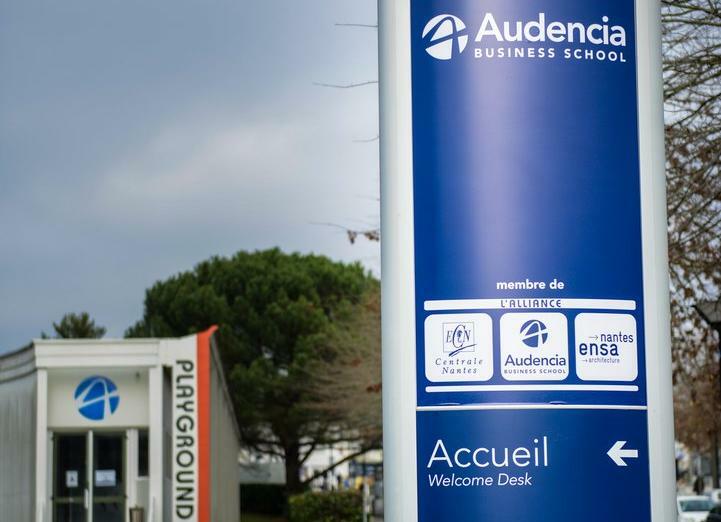 As a student at Audencia you will have the chance to experience the Grande École system first-hand and benefit from our reputation with French and international companies. Learn more about our rankings and reputation.